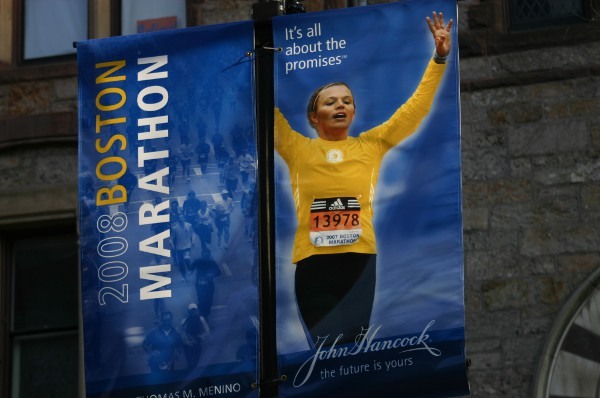 I hadn’t posted a full report on April’s Boston Marathon because I was writing one up for Fort Collins Now as part of my (roughly) bi-monthly outdoors column. The article, “Beantown’s Promise,” was just published last Wednesday (May 28, 2008). You can download it here (PDF, 603 KB) or view it online on FCN’s website. Speaking of backlogs, my next FCN article will be about motorcycling through the Poudre Canyon. I’m working on that article right now. I loved your story on Boston Marathon, I didnt know Mike Huckabee didnt get to the starting line. I have posted about his missing time.